Xibalba Itzaes are a band from Mexico that plays a very raw form of black metal with elements of pre-Hispanic folk music and this is a review of their 2018 album "Ah Tza Xibalba Itzaes" which will be released in December by Nuclear War Now! Productions. A very fast and raw sound starts off the album along with a great amount of tremolo picking and blast beats while the vocals are mostly grim black metal screams along with all of the musical instruments having a very powerful sound to them as well as the music also getting very ritualistic at times. When guitar solos and leads are utilized they are done in a very raw and melodic style while the songs also bring in a great mixture of slow, mid paced and fast parts along with some pre-Hispanic folk instruments also being added into certain sections of the recording as well as the music also adding in a lot of 90's influences but also remaining very modern at the same time and as the album progresses an instrumental is added onto the recording. Xibalba Itzaes plays a style of black metal that is very raw while also adding in some elements of pre-Hispanic folk music to create a sound of their own, the production sounds very dark and raw while the lyrics cover ancient Mayan deities and folklore themes. 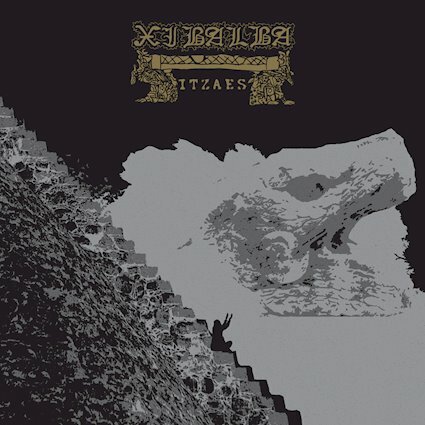 In my opinion Xibalba Itzaes are a very great sounding mixture of raw black metal and pre-Hispanic folk music and if you are a fan of those musical genres, you should check out this band. RECOMMENDED TRACKS INCLUDE "Ah Tza" "Throughout The Equinox" "Dawn of Endless Hours" adn "The Owl". 8 out of 10.